Gary Matteson works for the trade organization of the Farm Credit System in Washington, DC as Vice President, Young, Beginning, Small Farmer Programs and Outreach. This includes policy work on local foods, sustainable agriculture, and direct-to-consumer agriculture. Until recently, Gary was a small farmer operating a greenhouse business in New Hampshire growing anemones for the wholesale cut flower market and raising beef cattle. Gary also serves on the board of the Boston Flower Exchange, Inc., the premier wholesale flower market in the Northeast. A former agricultural entrepreneur, Matteson has served on the board of directors of his local Farm Credit lending cooperative. He holds a BS in Agronomy and a BA in Biology from the University of Connecticut. He has over 30years of experience in the farming and agriculture industry. Charlie Kruse received a BS in Agronomy from Arkansas State University in 1967, and a Master’s of Science in Plant Genetics in 1974 from the University of Missouri. Charlie was appointed by Governor Kit Bond to the University of Missouri Board Of Curators in 1983 and in 1985 Governor John Ashcroft appointed him as Director of Agriculture for the State of Missouri. In 1992 he was elected President of the Missouri Farm Bureau, and he held that position until he retired in 2010. During that time he served on the American Farm Bureau Board of Directors as well as the Executive Committee. In 1966, he enlisted in Dexter’s 1221nd Army National Guard Company as a Private. His military career spanned 26 years and he retired with the rank of Brigadier General. Larry Jacobs has extensive experience as a grower/shipper of organic produce. He and his wife Sandra Belin, founded Jacobs Farm in 1980, a successful northern California organic farming operation, specializing in culinary herbs. In 1986, they launched Del Cabo, with a unique vision for social change and sustainability. Through the teaching of organic growing practices and by providing funding, management and organizational skills, Jacobs Farm/Del Cabo connects over 1,200 family farms in Mexico with North American consumers, bringing economic opportunities to individuals in eight communities. Larry recently started Farm Fuel Inc., and shortly after, Jacobs and Belin were awarded the prestigious Organic Trade Association’s (OTA) 2007 Organic Farming Leadership Award. Larry is on the board of Peninsula Open Space Trust protecting open space, farms and parkland in and around Silicon Valley and served on San Mateo County Agricultural Advisory Board from 2005 to 2012. William Field received his BS from the State University College at Buffalo, New York, and his MA and Ed.D from the University of Minnesota. He began as extension safety specialist and assistant professor in Agricultural Engineering at Purdue in 1977. Bill provides leadership for both the department and Purdue University’s agricultural health and safety programs. He also supervises the Breaking New Ground Outreach Program. Bill received the first Hoosier Safety Council Award in 1987, the USDA Superior Service Award in 1989, and the Eric G. Sharvelle Distinguished Extension Specialist Award in 1989. He also received the Distinguished Service Award from the American Agricultural Editor’s Association and in 2002, he received the Sagamore of the Wabash from Indiana’s Governor. In 2004 he was the recipient of the M.L. King Spirit of Justice Award for his work with farm families impacted by disability. Stan Flemming is a former Brigadier General in the United States Army. In 1976 at the University of Washington, he received his bachelor’s in Zoology. During his tenure he served two combat tours of duty. In 2012, he was appointed Ambassador to the United States Army Reserves. Stan is a former member of the Washington State House of Representatives, the Founding Mayor of the City of University Place, a current member of the Pierce County Council representing District 7 and is the Pierce County Executive Pro-Tem. Stan received his Masters in Human Relations and Social Psychology from Pacific Lutheran University; a Masters from the United States Naval War College in National Defense and Strategic Planning; and his Doctorate in Osteopathic Medicine from Western University of Health Sciences. He is likewise a graduate of the United States Air War College, the United States Army War College Defense Strategy Program, and completed the Harvard University’s Physician Executive Program. Tasha M. Hargrove has over 10 years of experience in working with small, limited, and resource farmers. Tasha has worked as the Assistant to the Dean for Outreach in the College of Agriculture, Environment and Nutrition Sciences at Tuskegee University since 2012. Tasha has helped to develop outreach and service programs which focus on the sustainability of small farmers and rural communities. Tasha is a retired MSgt in the United States Air Force Reserves. She served twenty-two distinguished years as a Health Services Support Specialist. She received a BS in AG Econ from Fort Valley State University in 1994, a MS in Ag Econ from Tuskegee University in 1997 and a Ph. D. in AG. Ext. Education, from Iowa State University in 2002. Terrell “Spence” Spencer is an Army veteran of the War in Iraq who owns Across the Creek Farm in West Fork, AR. Spence’s farm produces around 11,000 pasture raised broilers & other poultry on pasture a year, as well as running a pasture raised farrow to finish hog operation using a local breed of pigs & a bulk Non-GMO feed operation that supplies local farmers. Spence is also President of the American Pastured Poultry Producers Association (APPPA). Spence was an early recipient of our FVC Fellowship fund, using his grant to purchase a used tractor. Spence has partnered with the FVC to host multiple popular workshops & trainings on his farm for fellow farmer veterans. Donn Teske is a fifth generation farmer from Northeastern Kansas in Pottawatomie County. His farm has been a certified OCIA organic operation. Donn and his wife raise Soybeans, Grain Sorghum, Red Clover, Wheat, Oats, etc. Currently, Donn is on his twelfth year as Kansas Farmers Union president. He previously worked for the Kansas Rural Center for five years and also for Kansas State University Ag Econ as a farm analyst for five years. In the summer of 2010 he had the opportunity to work with the village of Keur Ali Gueye in Senegal Africa on their millet production. Don currently sits on the board for National Farmers Union board of Directors, Ks. Rural Center executive board, Kansas North Central SARE advisory board, Midwest Agency Insurance board of directors, Ogallala Commons advisory board, (Formerly) Governors Wind Energy working group, KHCC executive board, Kansas Graziers Association executive board, BAAC advisory board, North Central Region SARE Advisory committee, and Farmer & Rancher Advisory board to the EPA. Alex Woods currently serves as Vice President, Sales Operations, Supply Chain & Parts at Kubota Tractor Corporation in Grapevine, TX. With over 25 years of experience in the equipment industry, Woods has held positions ranging from Parts Sales Manager to Territory Manager to District Sales Manager. This breadth of service has provided valuable insight from both the front line support of dealers and consumers to strategic level leadership of a nearly $4 billion equipment manufacturer. In his current role, Alex is responsible for streamlining operations across all four of Kubota’s divisions in the U.S. in an effort to better support Kubota dealers and customers. He holds a BS in Agriculture from Ohio State University and achieved the rank of E5 during his 8 years of service in the Army Reserve/National Guard. 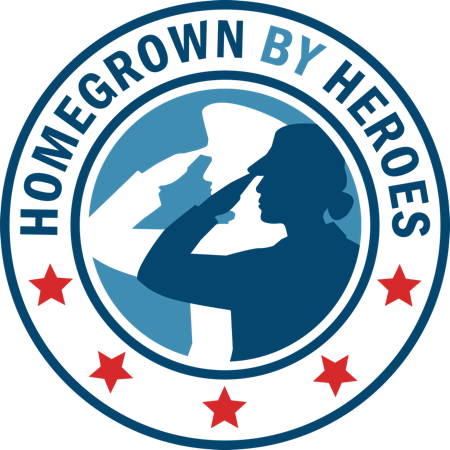 Alex has been involved in the Kubota Geared to Give partnership with the Farmer Veteran Coalition since its inception in 2015 with the aim to provide financial support and donated Kubota equipment to U.S. military veterans pursuing a future in farming.